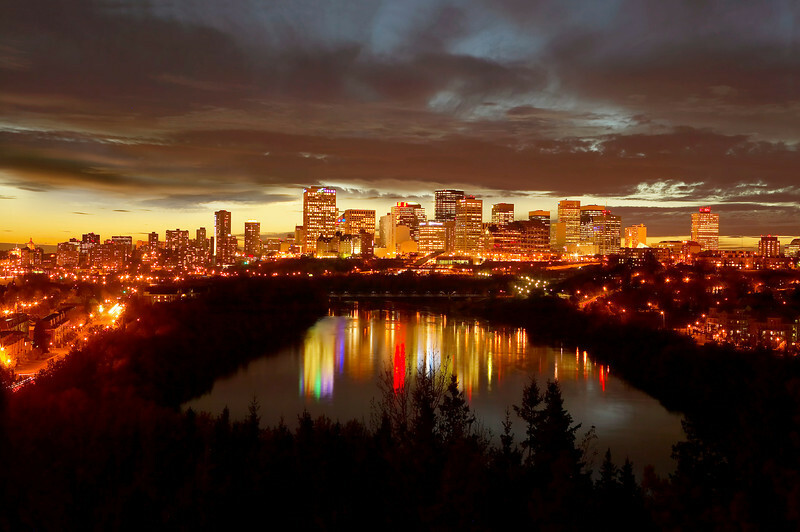 Edmonton’s beautifully lit skyline reflected on a serene lake. Edmonton (IATA: YEG, ICAO: CYEG) The capital of the province of Alberta, Edmonton is a favorite destination of Desert Jet clients. The lesser known of the two largest cities in Alberta, Edmonton is very business friendly city. In 2010, the city repealed their local business tax, replacing it with a non-resident property tax. There is a vibrant arts and music scene and they are striving to “go green”. Up until 2004, the city boasted the largest mall in North America. Edmonton is only 3 hours away from your winter home in the Palm Springs area on one of Desert Jet’s private charter aircraft. Contact Desert Jet now to arrange your next winter escape at (760) 399-1000 or email us at charter@desertjet.com.